The Best Telemarketing Blogs from thousands of Telemarketing blogs on the web using search and social metrics. Subscribe to these websites because they are actively working to educate, inspire, and empower their readers with frequent updates and high-quality information. Telemarketing newsletter is a comprehensive summary of the day's most important blog posts and news articles from the best Telemarketing websites on the web, and delivered to your email inbox each morning. To subscribe, simply provide us with your email address. About Blog Read the latest news about B2B Telemarketing, appointment setting, business development and lead generation on the Intelemark blog. Facebook fans 101. Twitter followers 140. London About Blog The GSA blog is aimed at those interested in lead generation. Topics range from marketing & telemarketing tips to business development & online marketing. Facebook fans 148. Twitter followers 3,086. England About Blog Toucan Telemarketing are experts in attracting new business leads through carefully planned telesales campaigns. Read this blog for more information. Facebook fans 69. Twitter followers 1,074. Rollsbridge House, Ide, Devon About Blog The Lead Lab offers an integrated marketing and telemarketing service specializing in appointment setting and targeted database generation for professional services. Follow this blog to get articles on telemarketing life hacks, lead generation, data cleansing and much more. Facebook fans 342. Twitter followers 2,915. Soham, UK About Blog Blue Donkey is a B2B Telemarketing service specialists with lead generation, customer service for corporate organizations. Follow this blog to know more about telemarketing from B2B Telemarketing Specialists. United Kingdom About Blog Air Marketing Group's blog gives you the latest tips, information and advice on B2B telemarketing and business development. Facebook fans 163. Twitter followers 529. San Francisco, CA About Blog This subreddit discusses everything and anything about TeleMarketing. Facebook fans 1,201,516. Twitter followers 564,769. London, England About Blog Straight-Line Marketing is a High Performance B2B telemarketing agency, specialising in B2B Lead Generation and Appointment Setting. About Blog Walking Fingers Telemarketing is a professional lead generation and appointment setting telesales firm that focuses on the entire sales cycle: from marketing to sales to customer development. Follow this blog to know about professional lead generation and appointment setting. CONGRATULATIONS to every blogger that has made this Top Telemarketing Blogs list! 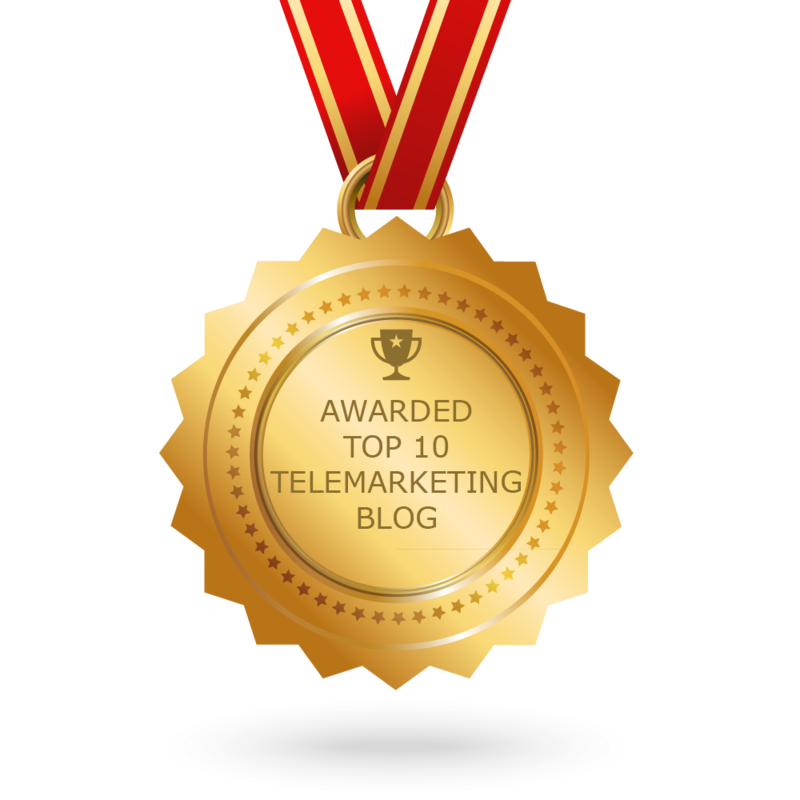 This is the most comprehensive list of best Telemarketing blogs on the internet and I’m honoured to have you as part of this! I personally give you a high-five and want to thank you for your contribution to this world.